Mike Larrabee is famous for his “come from behind” or “even splits” 400 Meters Gold medal from the 1964 Tokyo Olympics. The Americans swept the medals, and they didn’t repeat that feat until 400 meters in Athens 2004 with Jeremy Wariner, Otis Harris, and Derrick Brew. Mike Larrabee also won a second Gold in the 4x400m relay in a world record time of 3:00.7. What we don’t realize about him was he failed to qualify in 1956 & 1960 Olympics. By 1964, at the age of 30, everyone thought he was too old, especially his students where he worked as a teacher. Until Butch Reynolds, the term “even splits 400 meters” was attributed to Mike Larrabee. You must be a master of the PACE and strong as a horse to run an even split 400 meters. I really loved the story. I remember Larabee running for USC, but as an Abilene Christian fan, I only got to see Larabee run during the Coliseum Relays. I am using this way to comment as I did not see anyway to comment on your video of Bobby Morrow triple gold. At any rate, my comment is regarding your picture of Dave Sime along with the comment that some thought he was the fastest man in the world at that time. Who is that next to Sime in the picture? Look at their feet, those two are really close. 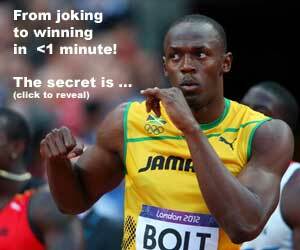 Is that the second fastest in the world? No, that is Bill Woodhouse, he ran the second leg on Abilene Christian’s 400 relay team. Yes, that is Bill keeping up – inches apart — with Dave Sime. You will recall that Bobby ran anchor. @James – thanks for sharing your story. I had my chance to meet Mike in Santa Ana back in 2003, but the meeting never materialized. Sadly, I am now too late. Yes, Bill Woodhouse is the forgotten man.